Everyone wants recipes from people who know what they're doing, but it can be tough to relate to egocentric celebrity chefs like crazy Gordon Ramsay, or that Joy chick who apparently thinks her last name is "cooking" (and her middle name is "of)". 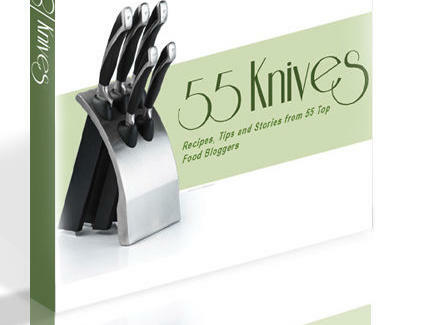 For learnin' from the average-est Joes of them all -- bloggers -- check out 55 Knives. Cobbled together by the local foodie behind Macheesmo, Knives is a collection of recipes and personal culinary tales taken from writers found across the blogosphere, all organized into an interactive e-cookbook that actually links to the sites of its chefs from their recipe pages, increasing the chances you'll find more good stuff, and decreasing the chances your friends will find out you read cookbooks. Each recipe comes with a story from its originator, including DC submissions (well-represented with over 1/3 of the entries) like a small-batch applesauce/Bob Ross-diss from The Arugula Files, a peppery eqq 'n' squash concoction/nostalgia for scrambled eggs from Endless Simmer, and a hearty, caramelized shallot marmalade Beef Wellington from The Bitten Word, which apparently was twice shy about providing a nostalgic tale. The best of the rest is collected from the editor's e-travels, and includes man-meals like a "Maple Brown Sugar BLT" and a corresponding ode to bacon from Savory Reviews, a twister tale-accompanied, ground chicken/andouille sausage "Rattlesnake Burger" from Ezra Pound Cake, and a rundown of how this particular spicy "Chicken Paprikash" has been passed down the generations from My Baking Addiction, whose author clearly needs some time in the Brown Betty Ford Center. 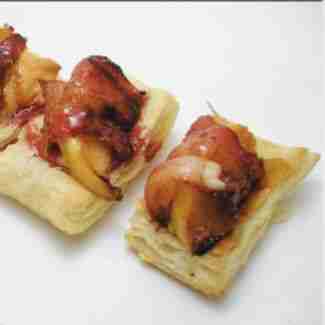 To celebrate the launch, they're throwing a party at U Street fun-dive Solly's, at which they'll be serving samples from their digital pages, because even the most celebrated chefs in the world will admit that the real Joy's in eating.